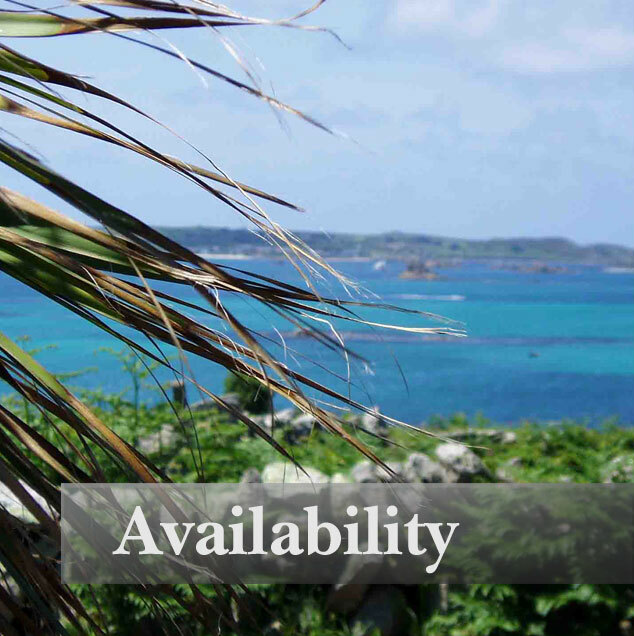 Aptly named for its position, Middle Cottage lies at the centre of Churchtown Farm's three granite cottages, sharing with the others unrivalled views across the Isles of Scilly and close proximity to lovely unspoilt Scilly beaches such as Par Beach and Lawrence's Bay. The cottage has been cleverly divided to provide accommodation for three people on the first floor. The flat is fully self-contained and sleeps three people in one double bedroom and one single bedroom, perfect for small families or couples. It is warm and comfortable at any time of year. For more pictures go to the Cottages Gallery page or for a list of facilities click here. Churchtown Farm is a working flower farm and our home, so we are always available to answer your questions or sort out any problems that might arise. St Martin's is peppered with beautiful flower fields growing our Scented Narcissi and Pinks, so you are constantly surrounded by colour and natural beauty. You'll find a setting for the perfect holiday near the beach. Once you have paid for your holiday there are no extra charges. All heating, bed linen and bathroom towels are included. If you place a grocery order at the shop it will be ready for you at the house and we will provide transport to the quay at the beginning and end of your stay. When you arrive, you will find all the little finishing touches have been put in place including a bottle of wine and of course, fresh flowers. We want your visit to Churchtown Farm to be a happy one and to this end we have equipped our holiday cottages to the highest standard. Our cottages are all double-glazed and fully heated. Both cottages are equipped with a microwave and dishwasher, DVD, WiFi and iPod dock. A washing machine and tumble dryer are also available for your use.